We’re deep in the middle of sale season. Meaning there’s a strong chance all of the items you’ve been eyeing over the last few months could be seriously redlined right now. This is great news in theory, but the best deals are often gone before you know it with the limited stock. This is especially true when it comes to footwear. Because really, who doesn’t want to score on a gorgeous pair of discounted boots, heels, or flats? Exactly. But to showcase the prettiest options that are still available at present, we surfed through all of your favorite stores to uncover what’s worth adding to your cart. Keep scrolling to find your new dream pair of shoes, but you better act fast because there’s a strong chance all of the on-sale finds coming your way will sell out by the time the month is over. Get to it. The square toe and triangle heel is particularly fresh and forward. Here's a simple way to make a serious impact. 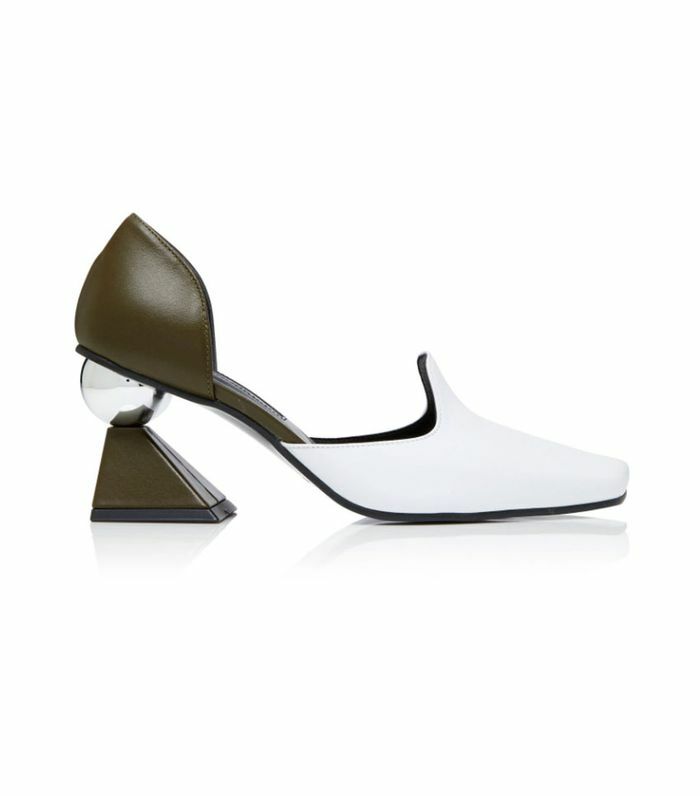 The pearl accents elevate these patent kitten heels even more. Say hello to the perfect party shoes. The rope detail gives these mules an unexpected, sporty twist. Leopard booties are basically a staple at this point. These feel vintage-esque and very trend-forward with the cap toe and lace detail. Snake-effect boots are a must-try right now. We're seeing corduroy everything this season. Not your average pair of black ankle boots. The ideal 9-to-5 flats silhouette. The top of this style comes to a V-shape for a flattering silhouette. Statement flats if you want something more comfortable for an evening out. You can never go wrong with a classic pair of slip-on mules. Yet further proof that the snakeskin look is the way to go this season. If you're ready to test out the "ugly" sneaker trend once and for all. A classic sneaker that will never go out of style. Fashion people can't get enough of offbeat Golden Goose kicks. Wear these training or in your off-duty life. Hiking-inspired sneakers are all the rage right now. Next, check out the best boots to wear with skinny jeans.